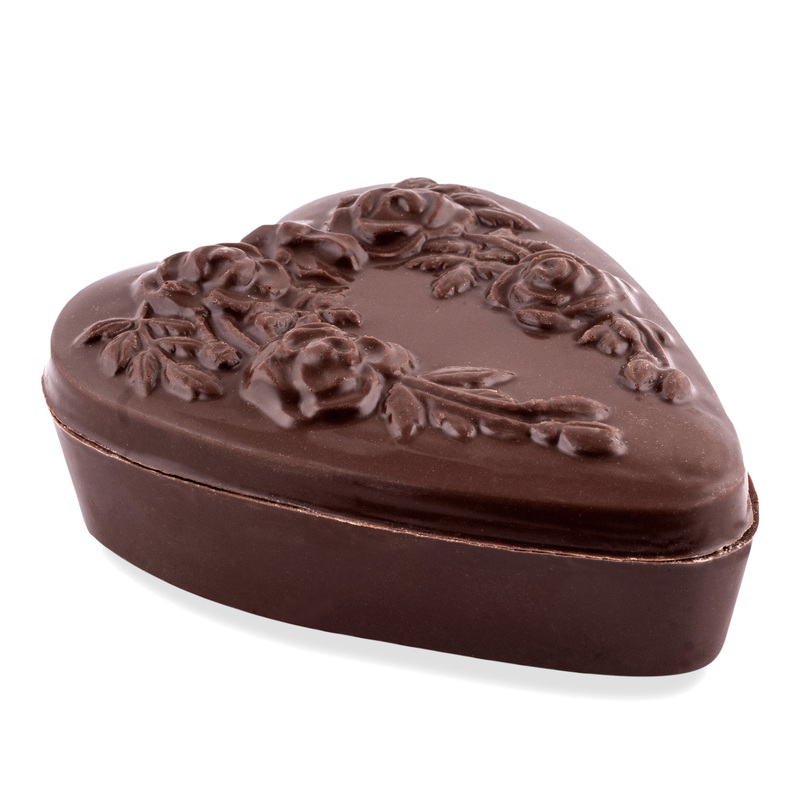 Large dark chocolate heart bonbonierre. Comes in milk or dark chocolate and can hold up to 35 pralines. Pralines not included.